A construction accident lawyer at the Trapani Law Firm is available anytime to discuss your personal injuries. Construction work across Pennsylvania can be very dangerous. Construction accidents often occur, resulting in serious workplace injuries to workers. Pennsylvania construction accident lawsuits can be complicates because there are many parties involved. Property owners, project managers, engineers, safety crews, suppliers, contractors or subcontractors and manufacturers may all be possible defendants in a work place construction accident lawsuit. If you or a family member has suffered a personal injury at a worksite, you need an experienced Pennsylvania personal injury construction accident attorney representing your interests. Equipment, building materials and tools that are not properly secured can strike an worker and cause traumatic brain injury, spinal injury or even wrongful death, even if a worker is properly wearing a hardhat. Machinery, tools and other equipment, such as dump trucks, cranes, forklifts, heavy trucks and dumpsters are the source of many Pennsylvania construction accidents. Construction accident falls from heights are very common. 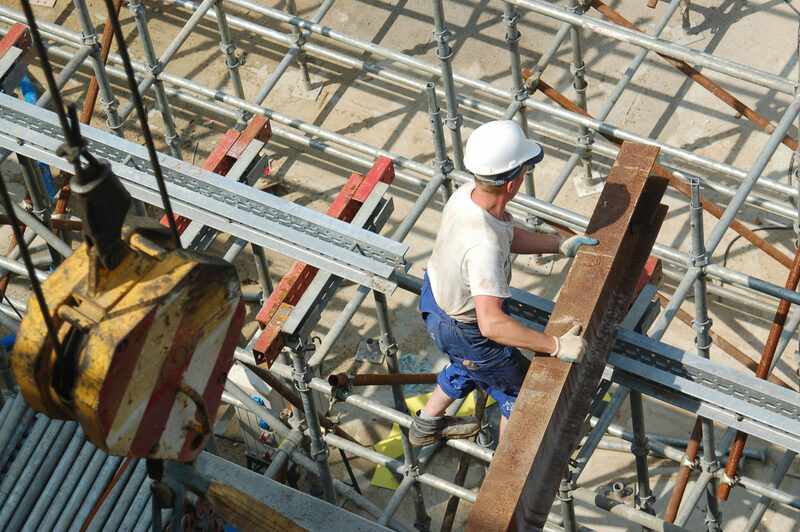 Construction workers are at risk of falling from scaffolding, roofs and ladders that are not properly secured. Workplace explosions can arise from a gas explosion, flammable chemicals, exposed wiring, leaking propane pipes causing explosion or fires that lead to serious personal injury, burn injury and even wrongful death. Call a construction explosion attorney anytime for a free consultation. Wires and faulty electric connection can cause a construction electrocution. This may be the most painful workplace personal injury a worker can suffer. Buildings that are being constructer or demolished may collapse. Additionally construction trenches have been known to cave-in while being dug by construction workers. These construction accident can lead to serious personal injury, paralysis, spinal cord injury or even wrongful death. If you have been injured in a construction accident in Pennsylvania, your legal rights will depend upon whether you were a union worker, non-working bystander, independent contractor or employee. An injured party may by eligible for Pennsylvania personal injury laws, Pennsylvania workers compensation laws or financial compensation from both resources. It is vital that you hire an experienced Pennsylvania construction accident attorney ignorer to receive the full financial compensation you and your family deserve after a workplace accident. Our construction lawyers will work with the Occupational Safety and Health Administration (OSHA) to carefully examine the construction accident scene and take necessary legal actions to preserve evidence. OSHA protects construction workers by regulating workplace conditions. When workplace conditions are unsafe, there is usually a violation of OSHA safety codes present. We will get to the bottom of you personal injury case. If your injury was the result of workplace negligence, we will find out how the construction accident should have been prevented. Call an experienced work injury lawyer at the Trapani Law Firm anytime for a free consultation. The coverage you receive from construction accident workers compensation has limits to your benefits. For example, you may not be able to receive financial compensation for pain and suffering through Workers Comp. Our experienced construction accident attorneys will work to get you the maximum compensation possible by also suing any third part who may have contributed to this workplace accident. A construction accident third party lawsuit will allow the victim to sue under the standard Pennsylvania personal injury laws. Our Lehigh Valley personal injury law firm will explore every single legal remedy available for you and your family. Just compensation is the only acceptable outcome. Were any construction OSHA violations present? What cause the construction accident? How many parties were negligent? Does workers compensation apply to this case? Are you personal injuries considered a long-term disability? Were unsafe construction plans, equipment or materials involved? What will your future medical costs look like? Our construction attorneys work on a contingency fee, meaning we don’t get paid unless we secure financial compensation for our clients. Additionally, all consultations are completely free of charge, so please give us a call today to discuss a possible construction injury lawsuit. We’re here to help get you and your family the justice and compensation they deserve. Our Pennsylvania personal injury lawyers are here to fight for you and your family. Our construction injury lawyers are happy to meet you in your home or local hospital, if that is more convenient. If you are located in any of the following cities we can meet you at a moments notice: Allentown PA, Altoona PA, Bethlehem PA, Easton PA, Erie PA, Harrisburg PA, Hershey PA, Lancaster PA, Lehigh Valley PA, Philadelphia PA, Philly PA, Pocono PA, Reading PA, Scranton PA, State College PA, Stroudsburg PA, Wilkes-Barre PA, York PA and Phillipsburg NJ. Call us anytime for a free construction accident lawsuit consultation. Call the Pennsylvania personal injury lawyers at the Trapani Law Firm today to set up your free consultation: (610) 351 – 2330 or contact us. Our consultations are completely free of charge and our construction accident lawyers are happy to meet you or a loved one at your home or hospital room. We’re here to relieve your stress and help you and your family get back on their feet. Construction Accident Attorney	Overall rating:	5	out of 5 based on 10	reviews.